Jack had a flair, didn't he? 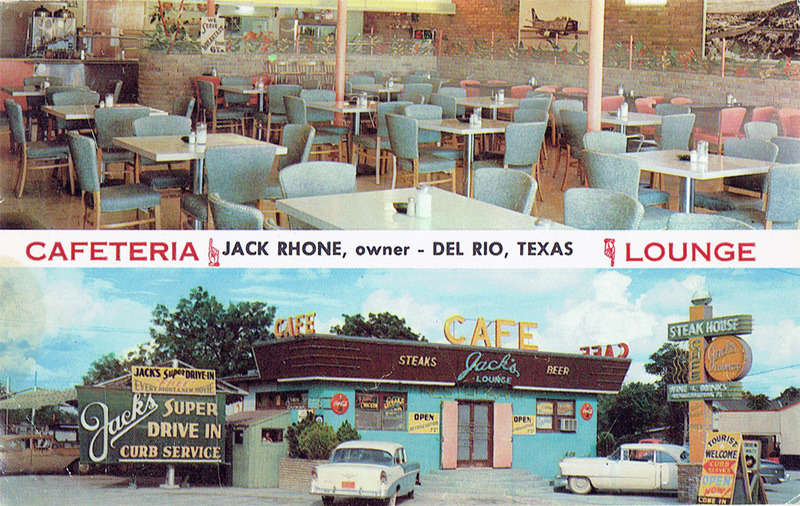 Jack Rhone was the man who built Jack's Lounge on Second Street and later built the motel farther up Avenue F, which eventually became the Travel Lodge. He also built the strip center next to the present Pizza Hut and he and his wife lived in the second story apartment there. Another anecdote notes that a country club member asked Rhone to drop by - but Rhone said don't you know? The club's restricted. Translation: let me rub your nose in it for you, pal.